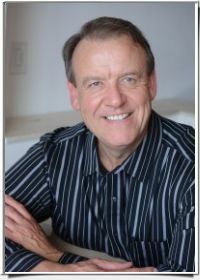 He founded the National Institute for Integrative Healthcare (www.NIIH.org) to study and implement promising evidence-based psychological and medical techniques. His groundbreaking research has been published in prestigious scientific journals. He is the editor of Energy Psychology: Theory, Research, & Treatment, a peer-reviewed professional journal (www.EnergyPsychologyJournal.org), a blogger for the Huffington Post, and a reviewer for the APA’s Mental Health Mobile Phone Application Review Database. Having created nearly 100 acclaimed meditation and brainwave programs, it’s no surprise that Jeffrey is considered by today’s top thought leaders as the leading creator and innovator of brainwave stimulation technology. His unique and proprietary technologies continue to revolutionize the field of brainwave entrainment and personal development. The scientific proof that EFT works!